Magic Castle online slot tells the tale of an enchanter named Leonora, who uses her Crystal Ball to influence the outcomes of any spin, be it paid or free. Her domain is a Magic Castle, and her faithful companions, a Cat and a Wolf. IGT presents her story via 3 rows and 5 reels, which unfolds whenever reels return with groupings of identical images lined up consecutively in any of 40 pay diagrams. As slot players get further into the game, they will discover that Leonora's icon is very powerful. It has additional attributes aside from acting as Wild Symbol that can sub for any regular-paying image. The enchantress' Wild icon can also activate the Crystal Ball Multiplier. Now if the Wild icon appears in conjunction with a winning Magic Castle Scatter combination, the Multiplier revealed by the Crystal Ball will also increase the number of Free-Spins activated. Leonora's image is the Regular Wild Symbol in both base and bonus round. Leonora's Cat and Wolf castle-companions may turn into Extra Wilds; although such an event occurs only in the Free Games. The Leonora Wild emerges in any reel or row, whilst configured as equivalent to two (2) identical Wild images stacked on top of each other in a single reel. Any part of that 2-tile high Wild icon is usable as alternative symbol for completing a winning arrangement. Yet if more than one reel displays a succession of Leonora Wilds aligned along a pay pattern, any Wild groupings of 3 or more and meeting the leftmost-reel rule, will be evaluated as wins. 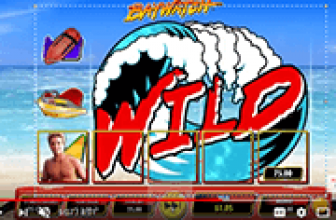 The longest winning Wild arrangement occurring per payline, merits a reward of 100, 200, or 1,000 coin credits multiplied by the Line Bet. Now the most significant attribute of the Leonora Wild is its capability to generate a Multiplier, when the icon becomes part of a win. The factor increases payouts earned from all winning combinations that came in conjunction with the Crystal Ball Multiplier Feature. A single Leonora Wild emerging after a spin, easily triggers this Magic Castle special feature. If more than one reel displays a Leonora Wild icon, the range of Multiplier Factors increases, each range capped at a maximum of x10. One (1), 2, 3, 4, or 5 Reels returning after a paid or bonus spin with at least one (1) Leonora Wild per column, correspondingly triggers a random multiplier ranging from x2 tox10; x3 to x10; x4 to x10; x5 to x10; or x6 to x10. 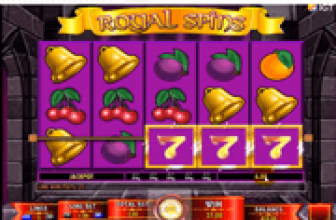 The Castle image, if emerging simultaneously in Reels 2, 3, and 4, will bring on 15 Free Spins. Again, the Leonora Wild wields influence over a winning Castle Bonus combo in the event both Wild and Bonus Symbols coexist as outcomes of a paid spin. Since a single Wild triggers a Crystal Ball Win Multiplier applicable to all win outcomes of a spin, the Multiplier generated will also increase the number of free-spins that will be awarded. 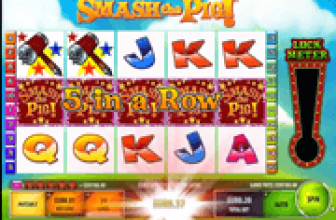 Supposing the Crystal Ball awarded a x10 multiplying factor, the initial set of 15 free games triggered by the Bonus Game symbols will increase to 150 bet-free spins. Moreover, a Cat or a Wolf totem landing anywhere on Reel 5 during the Free-Spins Bonus Round sets off the Familiar Upgrade Feature. Familiar Upgrade – is a feature that turns all Cat or a Wolf images in view into Extra Wilds. The emergence of a Cat or Wolf symbol in Reel 5 activates this game facet. This denotes that in addition to the Leonora Wild, a bonus spin may also produce Extra Cat or Extra Wolf Wilds at the same time. Magic Castle is an online slot powered up by a Wild Symbol that triggers Crystal Ball Multipliers. If the random multiplying factor occurs in conjunction with a winning Bonus Game combination, it will also increase the standard number of free-spins awarded.